BlueButton+, CCD/XML and HL7 are related terms used in several places on the ZibdyHealth website. Here we explain these technical terms. BlueButton+ is a data exchange format that healthcare organizations can use to transfer a patient’s data from one system to another. The BlueButton+ standard was created by Medicare and the Veterans Administration. CCD/XML refers to a “Continuation of Care Document” (CCD) in the “Extensible Markup Language” (XML) format. XML is a language that allows a computer to easily understand and work with your data. HL7 refers to the Health Level-7 international standards for transfer of clinical and administrative data between software applications used by various healthcare providers. As medical consumers, we often see more than one doctor and sometimes we seek opinions from different doctors for the same problem. However, when two doctors do not work for the same system, even if your two doctors are located in adjacent buildings, your data won’t be easily shared between them. 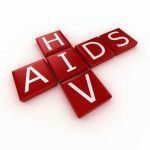 This may result in missed diagnosis or it may cost you or your insurance more to repeat lab tests that one physician is not aware of. Medical records can contain many errors, with estimates of about 2/3 of records carrying some form of error. Getting patients involved in the management of their own records may lead to fewer errors, and fixing those already present in an EHR. Patients will be able to combine their fragmented medical history stored in various organizations and make it more effective. This will also help transfer the coveted ownership of medical data to who is belongs, the patient. The transfer of Electronic Health Records (EHR) requires a private secure system that can also maintain the integrity of the information. BlueButton+ is a standard developed by Medicare and the Veterans Administration which allows this type of medical information transfer. This ensures interoperability of your healthcare data. ZibdyHealth, a free application, has built a DIY tool to upload CCDs from different hospitals or doctors or labs into your ZibdyHealth account and consolidate all of your medical data at one place. This will allow the medical information to be read into and included in your ZibdyHealth account. 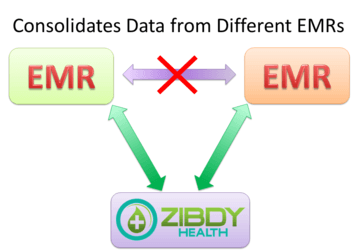 Not only will this bring disparate medical information in one place under your control but it will increase accuracy of the information loaded into ZibdyHealth. Consolidating your records is as easy as uploading a file on your computer. To upload records, please go to “Consolidate Medical Records” in the Personal Information section of ZibdyHealth, choose the location of your health information XML on your computer and click on the “save” button. Depending on the size of the file, it may take 2-3 minutes for your file to upload. When ready, your CCD will be displayed with a check box for each item you can select to be imported into your ZibdyHealth account. Once you select the item you would like to move into your account, simply click on “import”. The original CCD will be saved in your account and you will be able to go back and import more information any time later. For now, this feature is available only from computers. To transfer your medical information from doctor to doctor, or hospital to hospital in a secure electronic format using ZibdyHealth, you can produce reports of your data in the BlueButton+ standard or in PDF format. You can create a report from personal information section of ZibdyHealth. Within the reports section, there are options to select which sections of your information to include in the report, as well as what kind of report to produce. These report type options are PDF and CCD/XML. The CCD/XML option produces a BlueButton+ compliant XML document which can be read by other BlueButton+ compliant systems. The CCD/XML format requires the presence of certain sections so you may find more details in your CCD/XML report than your selection. For systems or providers whose systems are not BlueButton+ compliant, you can generate a PDF document allowing transfer of data in a more traditional form. 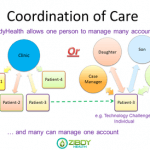 Thus ZibdyHealth will allow you to let your doctor or hospital stay up to date with any OTC meds you have taken, or any treatment you have received from care providers in different systems or places (e.g. emergency care). This simple secure system, will help to make sure your care providers are making decisions based on “all” of the available information. This feature will also allow you to consolidate all your medical information into a single place and generate a single report in PDF or BlueButton+ complaint format for sharing. Currently, this feature for consolidation of medical information works with EHRs from the top 8 vendors, which covers more than 99% of EHR installations. We are continuing on working to make ZibdyHealth work with the remaining systems. This is a simple way to consolidate all your medical information into single place and generate a single report in PDF or BlueButton+ compliant format for sharing.